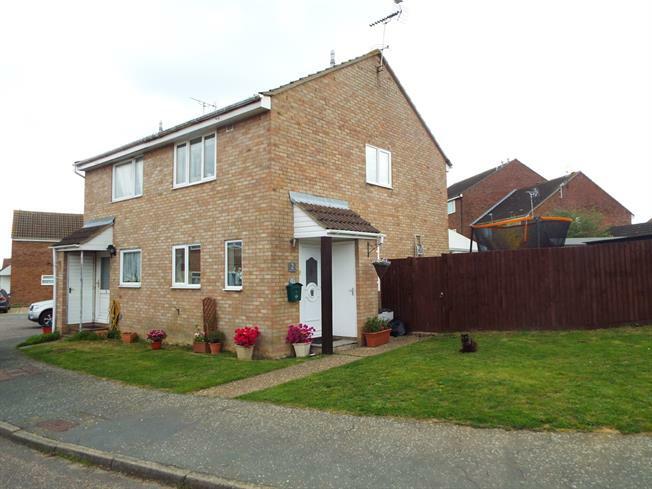 2 Bedroom Semi Detached House For Sale in Clacton-on-Sea for Asking Price £195,000. We are delighted to offer this beautifully presented semi detached house which has been much improved by the current owners. The property has a modern fitted kitchen, living room with spiral staircase to first floor and conservatory. On the first floor there is two double bedrooms and bathroom with white suite. Outside there is a good sized rear garden and driveway providing off street parking. Internal inspection essential to appreciate. The rear garden is enclosed by wood panelled fencing, garden shed with power and light connected, shingled path, concrete patio, mainly laid to lawn, gate to side access. The front garden is mainly laid to lawn with concrete driveway providing off street parking.